Last month we made THIS POST about a sixgill shark that’d been spotted near Vancouver and it got us to wondering what other types of sharks are lurking in our waters. We asked our friends at the Vancouver Aquarium if they might put together a list that we could share, and they put together the list you see below, which is most of the sharks in BC waters. We’re quite proud to help educate you on these finned beasts! The salmon shark is a pelagic shark that lives in the upper layers of the ocean and is known for its ability to maintain its body temperature (homeothermy). Up to three-metres long, the blue shark has a well-developed snout and a notable long, sabre-like pectoral fin. Usually in deep waters, sixgill sharks have recently been spotted by divers near Vancouver. They can grow up to almost 5m long and are characterized by six gill slits on each side of their bodies. Little is known about the small, brown cat shark. They are thought to be nocturnal and solitary animals, living on the outer continental shelf. Historically one of the most abundant shark species in the world but populations have declined due to overfishing; however, you can see one up close at the Aquarium in the Straight of Georgia exhibit. The second-largest living fish after the whale shark. Can grow up to 10-metres long, and they use their massive mouths and gills to filter feed on zooplankton, small fishes and invertebrates. 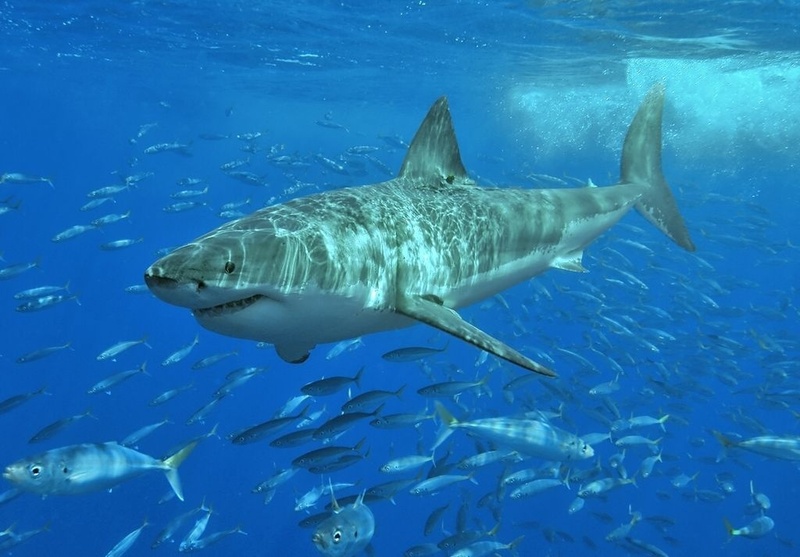 While rarely spotted off the coast of B.C., the great white shark is known for its grey dorsal fin, large body size, and grey and white colouring – not to mention its large, serrated teeth. The fastest species of all shark species, the shortfin mako shark has been recorded at speeds of 40 kilometres per hour with bursts of up to 74 kilometres per hour. Also, in case this scares you, don’t worry; shark attacks are really, really, really rare in British Columbia. HERE is a piece from the Huffington Post that talks about them. Next articleVIDEO: THIS is the proper way of dealing with the rain!